Cabin #8 is for sale in Crystal Springs Wilderness Lodges and RV Resort. Crystal Springs is a gated lodge composite. They come with varying amenities. This cabin has 1 bedrooms and sleeps 6! There is also Central AC/Central heat. Available for Glamping,rest, relaxation and recreational activity. GREAT RENTAL INVESTMENT. Quick Access to various attractions.Among the many are Six Flags Great Adventure, Outlet Mall wineries,horse back riding,fresh water fishing,golf courses,beaches,day camps. Also the to be built Sports Complex next to Great Adventurer!!! 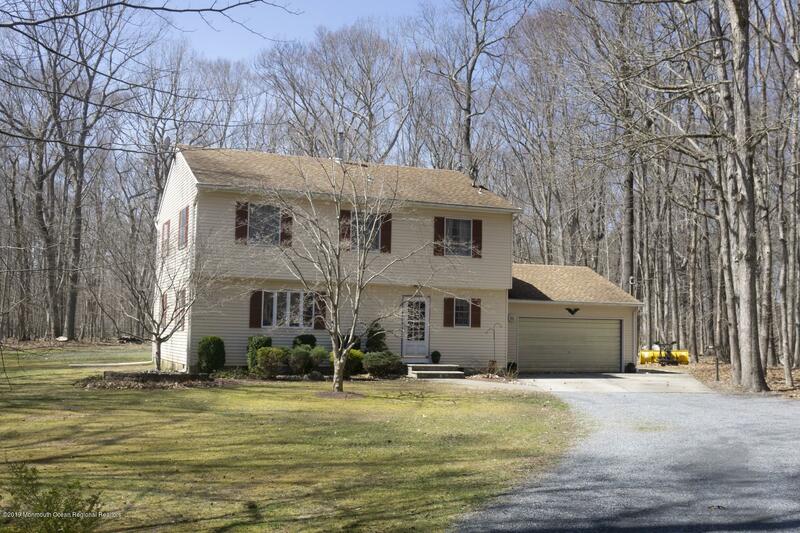 Five bedroom home on 3 acres PLUS a Home Warranty! 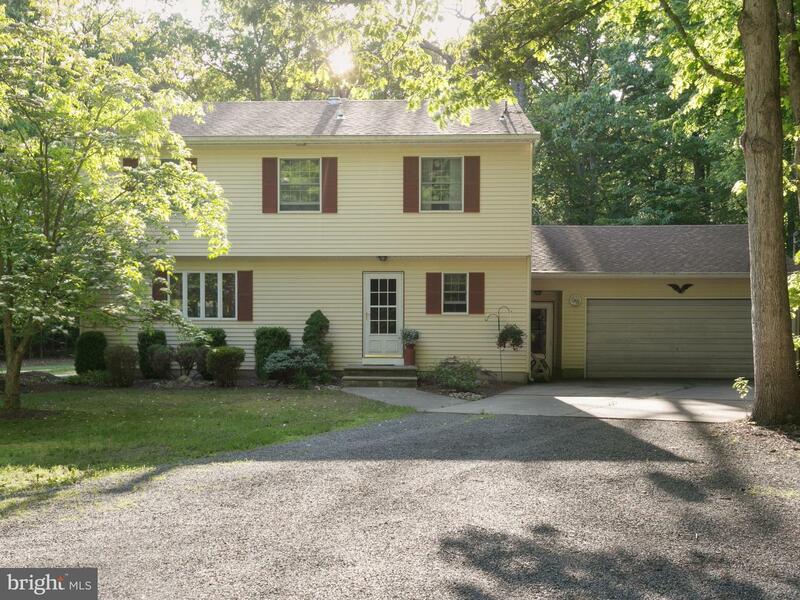 Don't miss a great opportunity to own this well built 5 bedroom home in the desirable Cream Ridge area of Plumsted Township. 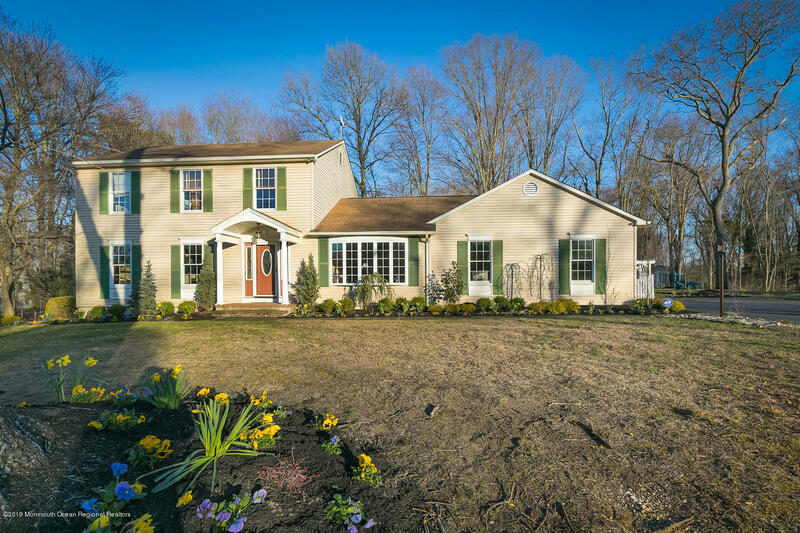 Set far off the road, the long driveway winds through the woods to this beautiful custom colonial. Built with love, this spacious one-owner home not only offers the privacy of country living, but boasts attention to energy efficiency with 6-inch exterior walls and a pellet stove that can heat the entire house. On the main level you will find a large living room, family room and formal dining room. The kitchen has a new dishwasher and range, as well as custom tile backsplash and Pergo flooring that flows into the dining room. The focal point of the 3-season room is the fabulous natural light and the custom wood and beam ceiling. Rounding off the first floor is a half bath and laundry room with access to the attached garage. Upstairs is a master bedroom with full bath, four additional bedrooms and a hall bath. This ERA GOLD HOME is minutes from Six Flags Great Adventure, I-195 and the Jersey Shore and comes with a one year home warranty for added buyer peace of mind. 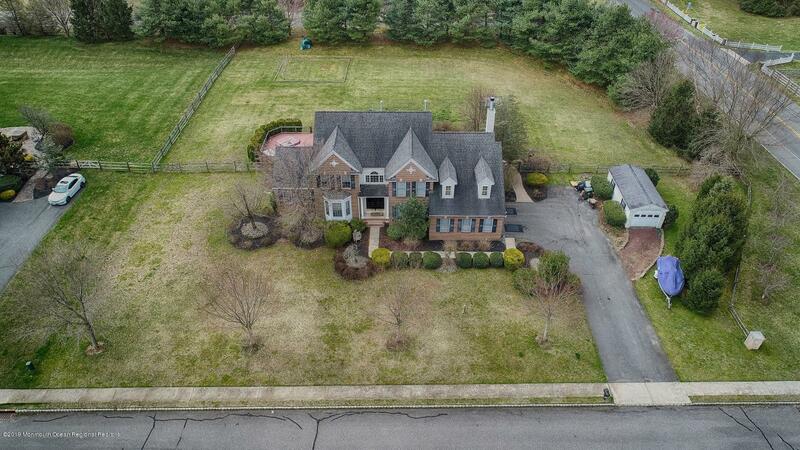 This is a beautiful move-in ready property in Grande Mill. The property has been fully updated and is done to the 9's. My favorite features of the home: the updated kitchen, large family room with cathedral ceilings, finished basement and great school system. Other great features include the large deck and private backyard for entertaining and being right across the street from the horse farm which gives you great views from the house. This home is a must see! Please see the video tour and schedule a showing today. Drop Dead Gorgeous! One of the nicest homes you will see this Spring! Upgraded and updated inside and out! This neighborhood home features 4 Bedrooms, 2.5 bathrooms, 2 car garage, and a full finished walk out basement! From the moment you walk in the new finishes are everywhere! From the new floors, light fixtures, trim, to even the brand new designer kitchen this is something not to pass over. The rear of the home features a modern open concept with the kitchen over flowing into the large family room with gas burning fireplace. New bathrooms throughout. The master suite features tons of closets, windows, and a private balcony. The finished basement is the perfect hangout or playroom, tons of storage and walks out to the yard. A stones throw from shopping and major highways. Welcome Home!